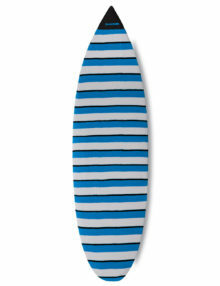 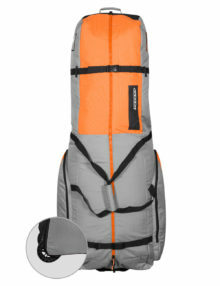 600D POLYESTER – used throughout for long lasting durability. 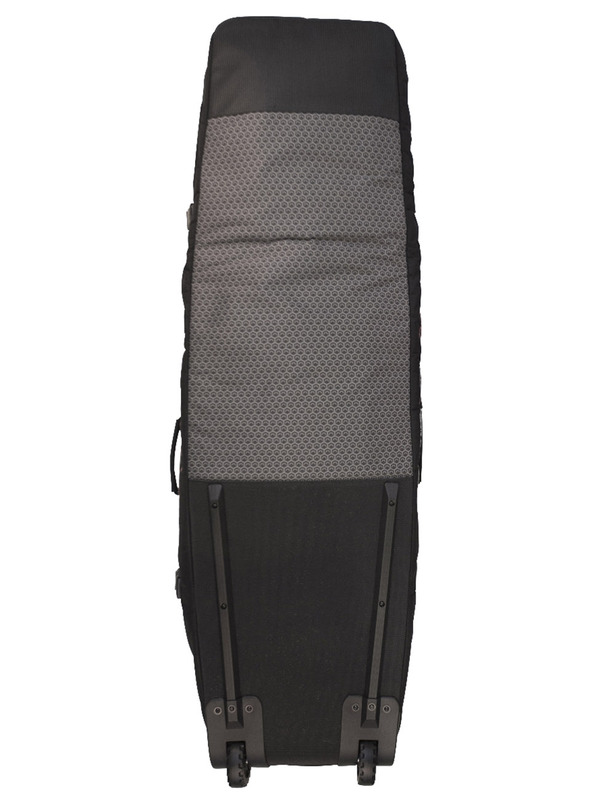 6mm PADDING – maximum protection in a light weight design. 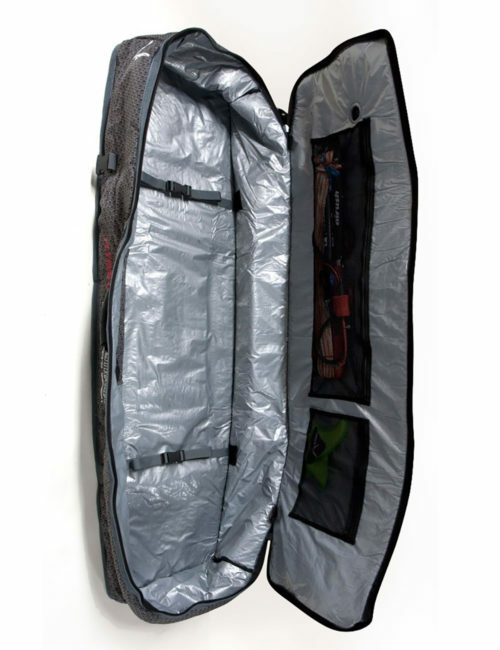 INTERNAL PE FABRIC – PE lining reduces moisture absorption. 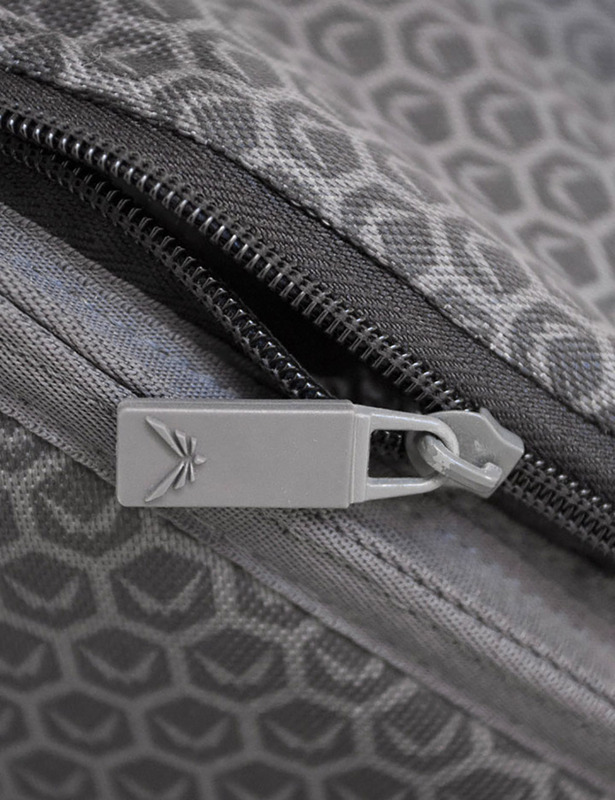 INTERNAL POCKETS – keep smaller accessories secure and easy to find. 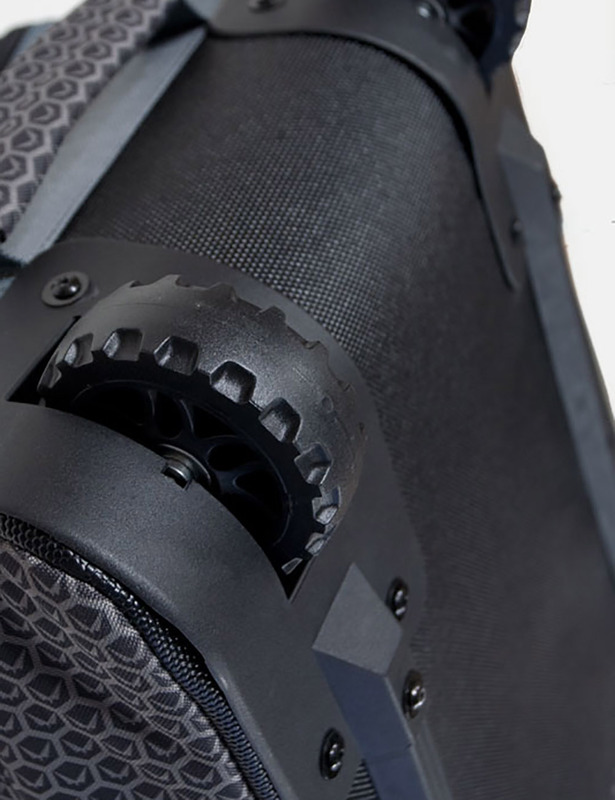 ROLLER WHEELS – for ease of transport of heavy loads. 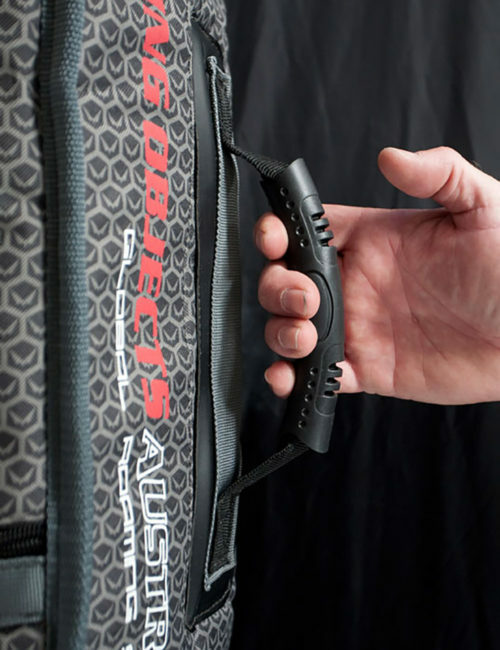 TORSION STRAPS – secures a tight fit when fully loaded. CARRY HANDLE – carry handle centred for a balanced weight distribution. 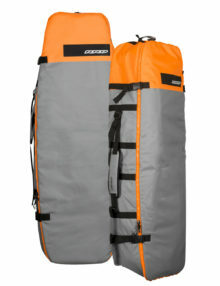 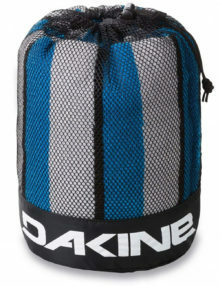 RRD kitesurf triple board bags give great protection, are easy to handle and travel with. 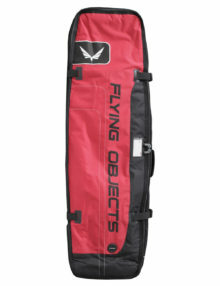 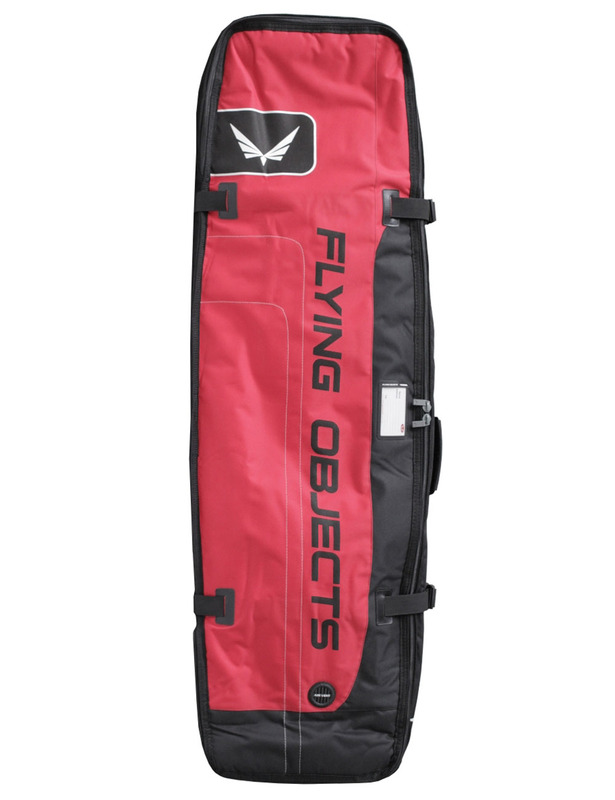 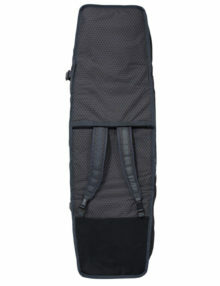 RRD kitesurf golf bags give great protection, are easy to handle and travel with. Come with wheels for extra ease of transport.